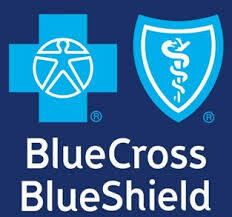 Little Rock The state of California in an unusual and precedent setting move withdrew the state tax exempt status of Blue Cross Blue Shield of California. The Los Angeles Times said they did so “quietly,” but trust me on this one, their action will reverberate with a loud roar throughout the soft chairs and well-appointed executive suites of highly paid, supposedly nonprofit hospital and insurance executives all around the country. In the short term, barring appeals, this will cost the Blues tens of millions of years in state tax payments in California. In the long term this may toughen the backbones of many state tax authorities and the IRS, now charged with regularly assessing the charitable contributions of nonprofit hospitals, to finally separate the herd, making the wolves in sheep’s clothing who have for profit style hearts and pay stubs, either really be mission driven or really be all about the money. $1 million per year. This was not a new problem for the Blues. Their reserves didn’t suddenly surge to $4 billion plus, but have been working their way up from $3 billion over the last couple of years. Incidentally, the level of their reserves was almost four times the industry recommendation for what any outfit might have possibly needed for any conceivable circumstance or calamity. In some ways in California this is a footnote in a long series of chapters where for profit practices operating with nonprofit protections have been scrutinized and questioned. One part of California’s Blue Cross operation had already been lopped off as for profit earlier, and with this movement by the California taxman, the company will have to put up or shut up on its charity obligations. The company’s earlier strategy had been to calf off $30 or $40 million to a separate foundation to handle their charitable obligations, but they must have missed the memo that to be tax exempt the whole operation has to be operating for charitable purposes not just a branch off the main trunk. Are they alone? Hardly! Looking at the similar problem in nonprofit hospitals, our researchers would only nod at the Cali-Blues pay stubs. Certainly big nonpro hospital execs at outfits in Houston for example are making in the $4 and $5 million range. The Partners’ nonprofit hospital behemoth based in Boston lists a small army of executives making more than a million on their IRS 990. Children’s in Houston is over a billion dollar operation and even with its creative accounting only claims to spend $6 million in charity care, making the California Blue Cross look like a big spender. It goes on and on and on like this from city to city, state to state. Looking through our researchers’ spreadsheet you can’t tell what hits you first, the headache at reading all the big numbers, or the heartache at seeing how miserly the charity care continues to be. As California just made clear, a day of reckoning is coming on the state level as desperate legislators have to balance their budgets and are less willing to pretend these slicksters can get away with being something they aren’t. These insurers and hospitals have to hear the footsteps of state and federal tax folks heading towards their doors now. The party is coming to an end. It’s time for them to pay the piper. Luckily, that means a better day for all of the rest of us! Quito With 80% of the United States households earning, and therefore paying, taxes on incomes of less than $100,000 per year, that means that the vast majority of us are filing “short forms” on IRS 1040A. Independent studies regularly establish that the most generous Americans, when measured as a percentage of income, are those making the least money, which means the vast 80%. For most of us there is no real tax break and therefore reason to file a “long form” and itemize deductions, because there are not enough loopholes for us. A lot of the generosity of the vast majority of American families is simply not driven by the chance of a tax break but by the size of their heart, the needs of their neighbors, family, and community. All of which is somewhat depressing, if not downright pathetic, to read of the efforts of big-time so-called charities lining up with oil companies and others to make sure that their tax loopholes are protected in the current negotiations on creating a more equitable tax system in the United States. These charities and their lobbyists seem to be lining up mainly as tools of the rich, rather than servants of the public interest, which is actually the basis of their 501c3 exemptions anyway. It seems clear many of them are indeed playing “Chicken Little,” regardless of Diane Aviv’s statements below to the contrary, even when the impact on most of them is relatively minor. Why can nonprofits defend standing in the way of a more equitable tax system, including one that eliminates at least some of the huge number of breaks for the 20%, when the 80% are getting so few? Seems unconscionable. There is no specific plan to eliminate deductions for charitable giving in current talks. Instead, proposals that have been floated focus on capping overall deductions. The White House in the past has proposed limiting deductions to no more than 28% of income for families making $250,000 or more. Republicans including former presidential nominee Mitt Romney have suggested limiting deductions to a specific dollar amount. Others have suggesting a “haircut” option, letting taxpayers claim, for example, 80% of their current deductions. Nonprofit leaders say that if deductions are limited, taxpayers will cut back their giving. Diana Aviv, president of Independent Sector, a coalition of nonprofits, cited studies suggesting Mr. Obama’s plan would lead to $1.7 billion to $7 billion less a year in charity giving. The impact of a dollar cap on deductions, she said, would be even greater. Activists are descending on Capitol Hill next week. They have written letters to the president and congressional leaders. They are urging their supporters to contact congressional offices. Under the tax code, a person can claim a charitable deduction that matches his tax rate. A taxpayer in the 18% bracket who donates $1,000, for example, would have tax savings of $180. On Sunday, six immigrant parents, also here illegally, joined a “coming out” ceremony where they spoke in public for the first time, as many youths have done in recent protests. One father, Juan Jose Zorrilla, 45, who is from Mexico, recounted how he had entered the United States several times by swimming across the Rio Grande. “For parents, there is no sacrifice so large that we won’t make it for our children,” Mr. Zorrilla said. A mass of youths jumped up from their chairs to embrace Mr. Zorrilla and the other parents. Live-in workers are still not covered by the minimum wage in the Fair Labor Standards Act the last time I checked. Why is that so hard to correct? Seems like an easy fix? Is it because most of them work for the rich or richer? Now Mr. Huey is packing his stuff to prepare for a fellowship at Harvard. “I’m looking forward to getting back closer to the keyboard than I have been,” he said. Before he goes, he will probably slip Merle Haggard’s “Big City” into the CD player, an album whose title track frequently kept him company in his corner office. I’m tired of this dirty old city. Entirely too much work and never enough play. And I’m tired of these dirty old sidewalks. Think I’ll walk off my steady job today. “We freeze terrorist organizations’ bank accounts, and we ought to freeze their Twitter accounts, too,” he said.